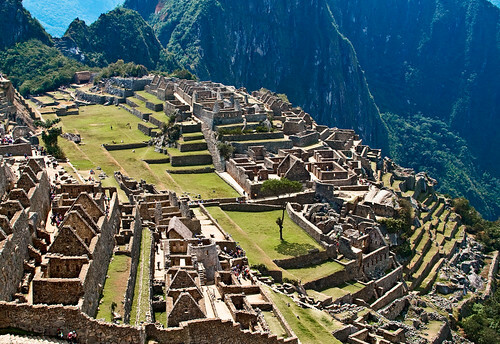 The Inca Trail is doubtlessly Peru’s most popular trekking route. Advocated for the physical fit only it runs for no less than 40km and reaches 4,200 m.a.s.l. The stone-paved trail, discovered in 1960 and part of the more than 23,000 km of roads built by the Incas across South America, crosses a notable range of natural landscapes and eco-systems, from thick tropical jungle to the bear, unwelcoming rocks of the Andean mountains. Really it’s likely the prettiest walk in South America. The Trail takes three to 1 or 2 days of exasperating hiking, and can be started at Chillca ( Kilometre 76 of the Cusco-Machu Picchu train line ) or, most frequently, at Qorihuayrachina, Kilometre 88 of the train line. The first day is relatively simple, and includes along the route the Inca ruins of Cusichaca, Q’ente, Pulpituyoc, and Llaqtapata, a site utilised for crop production stayed well saved. The second day is the hardest of all, usually because the ascent becomes increasingly steep. The trail follows original Inca stonework that climbs uphill, ending a little shy of the exact Warmiwauska or Dead Woman’s pass, at 4,200 m.a.s.l. The crossing of the pass opens day three, after camping in the Pacaymayo valley. The Trail descends into the valley and heads to the revived position of Runkuraqay, a miniscule Inca watch post, and then to Sayaqmarka, perched on top of a sheer cliff, from where one can see the beginning of the massive Amazon rainforest, stretching to Brazil. The final day is another straightforward day, frequently descending and passing through lush jungles and cloud forests before reaching Machu Picchu, Peru’s most vital holiday maker site, thru the Inti Punku or Gateway of the Sun. Before going for the trail, you want to spend at least forty eight hours in Cusco acclimatising, as it features some hard hiking, including one or two hours above 3,500 m.a.s.l. Otherwise, Acute Mountain illness ( altitude sickness ) could make your first few days pretty uncomfortable. In the summer season, from June to Aug, you have to book way ahead -at least 3 months-, as the amount of trek sanctions issued is constrained to 500 every day ( including tour guides and porters ). Other trekking routes : The Royal or Holy Trail Just before arriving to Aguas Calientes, at km. 104 of the train rails, this trail takes the direction to Phuyupatamarca, climbing up patios and stone steps. After two hours of hiking you arrive to the recently discovered and brilliantly Wiay Wayna ruins. Found on a steep mountain slope and looking over the Urubamba stream, Wiay Wayna is a pleasant example of Inca patio design. The name means ‘forever young ‘ in Quechua but masters still differ on the meaning : some consider it refers back to the ornamental orchids that populate the surroundings, while others say the name alludes to the Inca rites and rites celebrated in the complex. 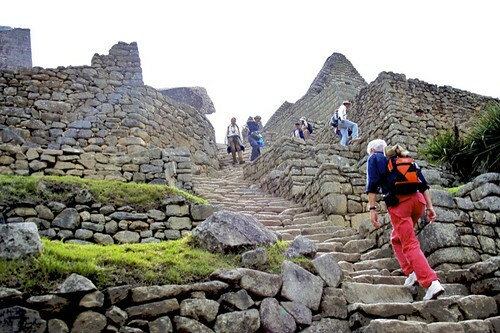 The trail then converges in the Inca Trail, arriving to Machu Picchu through the Sun Gate, Inti Punko. A permit is necessary for this route. Purification Trail Part of the Inca Trail system, this route has been recently discovered by archaeologists. 107 of the train line track ( 3km upstream from Aguas Calientes ), near to the hydroelectric exit pipe. The name, Purification Trail, alludes to the descending pools formed by the stream that runs next to the trail. Putucusi Hike This lethal and demanding 3-hour hike ( round trip ) involves a great reward : the impressive view of the Machu Picchu landscape. Putucusi ( ‘happy mountain ‘ in Quechua ) is a round-shaped mountain that reaches 2,600 m.a.s.l. At the height, and is located across the valley from the Inca castle. This is a demanding hike ( only possible in the dry season, March to November ), which involves steep ladder climbs and oily scrambling. Some ladders, stacked into the wall, even go up for twenty meters in almost a ninety degree want. Suggested for people with a good level of physical fitness only.